What is happening to property prices with the rise of interest rates? What has this subject really got to do with Estate Agents? As you may know the UK base rate was moved from 0.5% to 0.75% by the Bank of England early this month, the second time it happened in 10 years! Wow a 50% increase in interest rate some would say? Surely it will have an impact on property prices? Maybe this is why I witness so many Price reductions everywhere? They are correctly advising their customers to act quickly? Let me reassure everyone! A rise of 0.25% in the base interest rate is a very modest one whilst the new rate of 0.75% should still be considered very low from a historical analysis. So what does it mean for Borrowers? What does it mean for house prices? It depends on the type of Mortgage in place: If you have a fixed rate mortgage you won’t feel the difference, if you are on a standard variable rate (SVR) your mortgage may indeed rise by 0.25% and will cost you around £180 per year per £100,000 borrowed and if you have a tracker mortgage, your repayment will definitely increase. There are 11.1 millions mortgages in the U.K for an average borrowed amount of £123,423. I would estimate that about a third will suffer a yearly repayment increase by around £221 and that is the cost of about 1.33 cigarettes a day! From a more mathematical and statistical analysis, I will revert to some serious past studies and quote you the “estimated” implied elasticities of various events with one full interest rate movement. That means that a 0.25% rate change could affect the average property sale price by 1.25% if no “friction”! Arguably there is probably 50% friction since a majority of existing borrowers would not get that 0.25% increase, meaning that the possible impact on property prices might be 0.625%! The second point is a far better one! Interest rate rising does affect the capacity of property developers and builders to borrow money and may affect the desires to build new properties by 15%! In England alone, we have had a projection of about 220,000 new builds for 2018 and this is probably having a bigger impact on property prices. A 0.25 interest rate rise could affect the number of permits by 3.75% which equals to 8,250 less new homes, or about 0.83% of total properties sold yearly in England. My feeling is that affecting the equilibrium between the supply and the demand by 0.83% could easily nullify the negative effect potentially caused by a yearly rise of £221 in half the mortgage repayments. Let’s not forget other parameters like the Value of the £ against the Euro or the $ and how could it influence the property prices? The British Pound has been under pressure over the last 2 years and a coin has two sides: it is good for some things and bad for others, could be bad for import and could be good for export. Arguably a weak pound might increase the costs of building new properties and therefore have a positive influence on property prices. It might also make a UK property a more attractive purchase for a foreign investor? Specially as employment is good and the yield on renting is also very good! There is always a silver lining! Obviously Estate agents sell or let properties and any changes on property prices should be known to them and that information passed on to their customers. If the property prices are going down, Estate agents should correctly advise their customers and act accordingly, it is indeed not a good idea to be “sitting” above the market waiting for the passing of time: a property overpriced will take longer to sell, will need price adjustments and might not sell at all…Time is also money! We know that the property prices could be described as “stable” or rising modestly at best so why are we witnessing a period of aggressive price reductions for many Estate Agents? 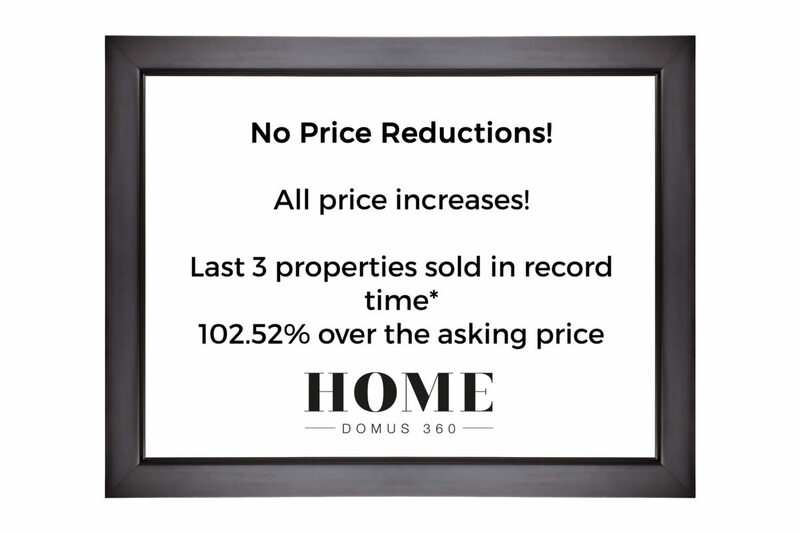 Recent reports do show that the gap between asking prices and completed prices have never been higher in a decade! So Estate agents talk about 0.25% interest rate change having a possible impact of 0.625% on property prices actually rising between 1.5 and 2.1% since last year and they keep advertising price reductions of 5 to 10% like a badge of honour or like something too good to be missed ? Are they telling their clients that the prices are going down? Should they be a bit more focused on pricing and selling correctly rather than talking about things that may affect the equivalent of 1.33 cigarettes a day? Are they using these excuses of Brexit and interest rates as a reason to push their vendors to put their hands in their pocket? Would you like a free consultation and check out our bespoke valuation? We'd love the opportunity to get to know more about you and your home. Next StoryWhy not “luxury” marketing your home?